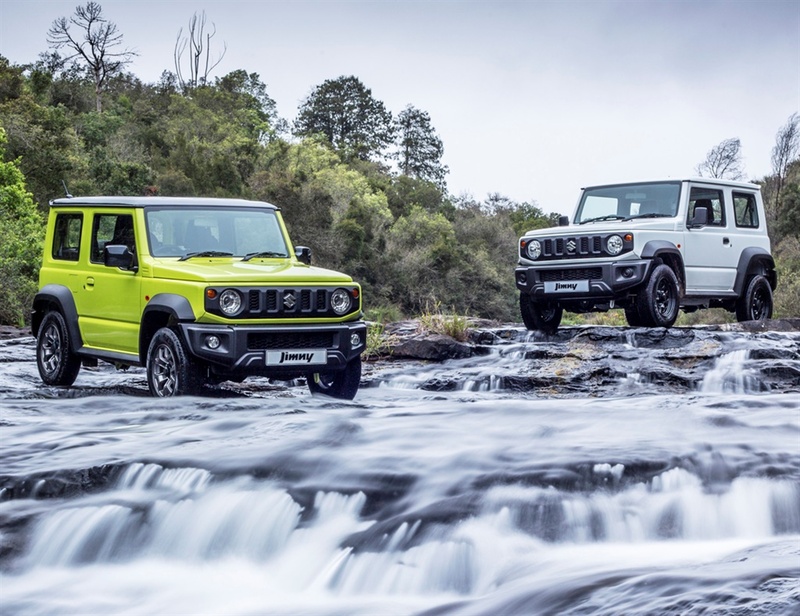 It's taken Suzuki 20 years to launch a new generation of its Jimny, and the latest offering is probably the best one yet. Having driven the 4x4 I say that with confidence, even though the outgoing version has been around much longer. The Jimny is one of the forefathers of off-roading culture, created in 1970: The little 4x4 debuted before the beastly Gelandewagen by Mercedes-Benz, which was only unleashed in 1979. The Jimny was upgraded in 1972, with a second-generation launched in 1981. The first four-stroke version was brought about in 1984 and it was known as the "Samurai" edition. When the third-generation made its way to South Africa in 2008, it was already 10 years old in global markets as it was launched in 1998. Two decades later, we meet the new version with a strong cult following. There are two specification levels (GA and GLX) along with two transmission options: five-speed manual and four-speed automatic. It also comes with built-in off-road capability called the ALLGRIP PRO mechanical shifting 4x2, 4x4 and 4x4 low range transfer case and the rigid ladder frame chassis. It's also 15% lighter than its predecessor. According to the automaker, the reason why the Jimny has been this successful for almost five decades is that it is still based on the same design brief since it was launched in 1970: A compact, lightweight, affordable off-road vehicle with true 4x4 capabilities. The angular design pays direct homage to the original LJ Series (1970 - 1981) and SJ Series (1981 - 1998). Suzuki says the new model has the same upturned front fenders, round headlights and round orange indicators of the LJ Series and the side slits in the clamshell bonnet of the SJ Series. The fourth-generation Jimny pays homage to the old design with its clamshell bonnet and distinctive upright grille, as well as other design elements such as the thin, angled rear bumper. This makes the door easy to open and close in the tailgate, as well as playing a role in optimised off-roading. The squarish wheel arches are also not just a design element but also has significance for the job off the beaten track. 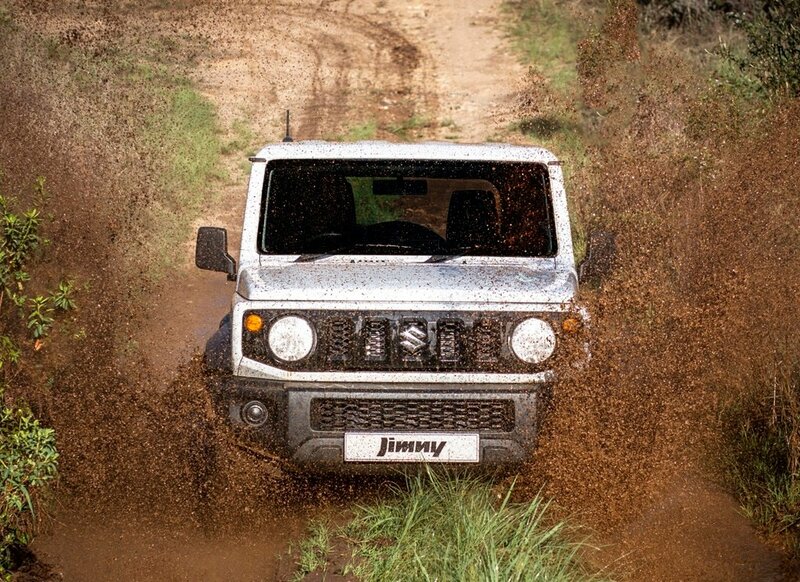 In essence, the Jimny was built for off-roading. At the launch we sampled the top-of-the-range GLX auto model. While the car gets you where you need to be on tar roads, that monotonous hum of the four-speed auto transmission in the GLX searching for a fifth gear eventually fades into the distance. I might not have been too charmed by its driving ability and the lack of confidence I experienced when trying to overtake definitely dampened my enthusiasm on the dark, rain-soaked roads of Mpumalanga during a stormy Wednesday evening. My tune changed completely the next day as we headed out to through the SAPPI Forest outside Hazyview. The Jimny was born to be driven off-road and it immediately showed off akin to a cute wild creature in its natural habitat. It's as if the 4x4 had shed its skin and returned home to roam free through rugged terrain. Of course, the new model comes packed with new features to improve its already excellent capabilities. There's hill hold and descent control, as well as brake LSD traction control. Driving it up steep inclines, and going down steep descents using the hill control, makes child's play of rugged terrain. It has a remarkable turning circle of 4.9m which makes climbing and turning into sharp bends so easy that even the most novice of drivers will feel as confident as professional off-roaders heading up Sani Pass. The Brake LSD comes into play when you might find yourself with two wheels off the ground, then the system will recognise when you need more traction and it will brake the two wheels in the air, and provide traction where needed. I understand now why the new Jimny comes across as the best thing since sliced bread among 4x4 enthusiasts. It creeps into your heart without notice but its off-roading feats make you want to go trail-driving and bundu-bashing, even if you have never done it before. It could also make a neat little city car, because gosh darn it, it's absolutely adorable. It comes in eight funky colours, namely Kinetic Yellow, Brisk Blue Metallic, and Jungle Green. The Chiffon Ivory Metallic with Bluish Black Pearl is also a really good, alternative choice. The new vehicle is much wider than before by 45mm taking it to 1.6m, 40mm wider in both the front and rear tracks, and thanks to the redesigned front bumper, the length is 50mm shorter taking it to 3.6m. Suzuki has also replaced the M13A 1.3-litre engine with a new 1.5-litre K15B petrol engine delivering 75kW and 130Nm. According to my older peers in the industry, the new Jimny drives much better than the previous model in terms of performance. The new engine has a higher compression ratio (10.0:1) and greater thermal efficiency to deliver more power while using less fuel. The automaker also claims a fuel consumption on a combined cycle rated at 6.3-litres/100km for the manual models and 6.8-litres for the automatic model. The previous generation was rated at 7.2-litres and 7.8-litres respectively. It has a 210mm ground clearance, along with a 3° approach angle, 2° break-over angle, and a 4° departure angle. Inside, the Jimny there are scratch resistant materials which also prevent glare on the dashboard, there's an easy-grip handle for the front passenger when the terrain gets too rough, and a completely circular steering wheel for better control during off-road trips. The seats have been redesigned to give an increase of 55mm room in the rear. The second row of seats in the GLX model folds completely flat and has a hard plastic surface at the back, perfect for pets or camping gear. Luggage space is 377 litres large. It might be a great car for a little family too but if you're loading kids in the rear, there won't be much room for any luggage. There are loads of cupholders, and 90mm deep pockets in the front doors perfect for mobile phones, a 7-inch Infra-red Touchscreen, smartphone linkage display audio (radio, USB and SD card slot), dual airbags and ISOFIX fittings. Another feature which makes the car more modern is the availability of Apple CarPlay and Android Auto. Pricing starts from R264 900 for the entry-level model which makes the Jimny very competitive in terms of pricing for a proper 4x4.